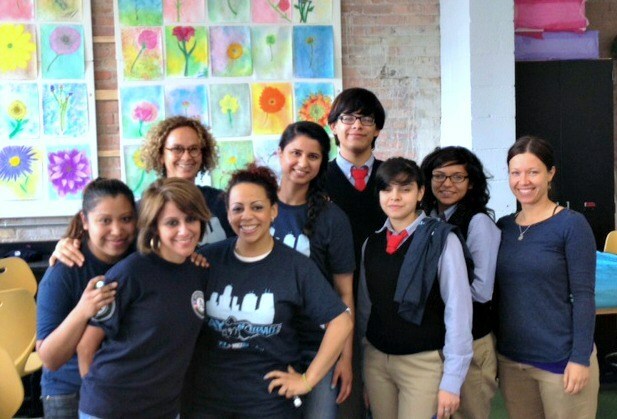 Instituto for Latino Progreso (Instituto) and Local Initiatives Support Corporation are seeking a full-time AmeriCorps member to serve as a Job Readiness/Digital Literacy Coach. The candidate will ideally begin service on October 1, 2018 and serve a minimum of 1700 hours though the end of his/her term on July 31, 2019. The exact start and end date is confirmed by the Member Agreement of Participation. Volunteer Attorneys and Third Year Law Students Needed! Instituto is seeking support of legal students and professionals at it's upcoming Citizenship workshop! Find more information here and contact Ambrosio Martinez (a.martinez@idpl.org) to register! Interested in other volunteering opportunities with Instituto? Pick your area and download the application! The Program Volunteering component is appropriate for anyone with experience in the subject area or tasks of the program. The Service Learning component is appropriate for high school and college students looking to gain new perspectives and experiences working with the community. Questions on volunteering? Contact us by phone at 773-890-0055 or by email.